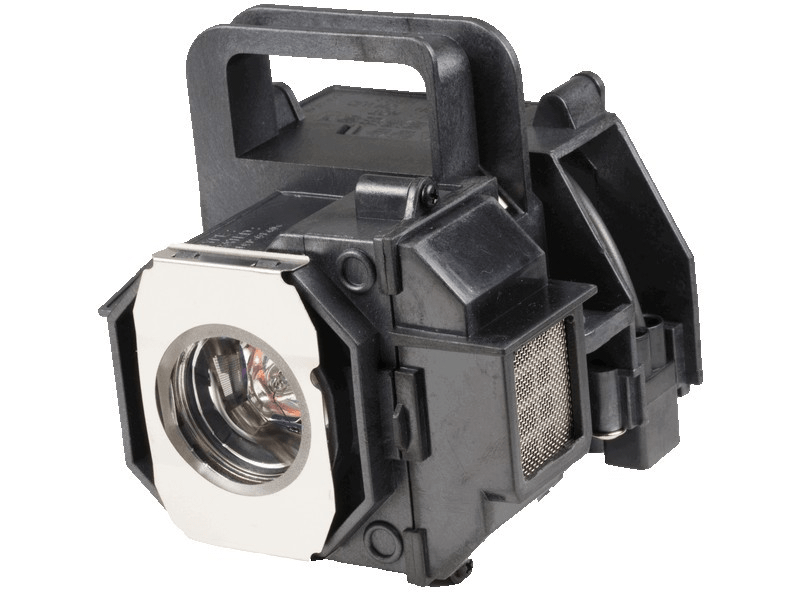 The Epson Powerlite Home Cinema 8350 projector lamp replacement comes with a genuine Osram 200 watt replacement bulb with a rated brightness (lumen rating) of 2,000 lumens. The Powerlite Home Cinema 8350 lamp has a rated life of 4,000 hours and is guaranteed to perform the same as the original Epson lamp. Our Epson replacement lamps come with a high quality Osram bulb with main components made in Germany. Beware of cheaper lamps made with generic bulbs that have lower quality and lower light output. Powerlite Home Cinema 8350 Epson Projector Lamp Replacement. Projector Lamp Assembly with High Quality Genuine Original Osram P-VIP Bulb inside. Our home theater needed a new lamp so we tried this one from Pureland Supply. It arrived on time, installation was easy, and it is very bright. We would definitely recommend this replacement lamp over the horrible generic Epson lamps we tried from both eBay and Amazon. Great bulb for a great price. Paid less for a lesser quality bulb and returned it the same day. Light arrived in 2 days as stated. It was easy to install and bright. Time will tell how long it lasts. I'm on my 3rd lamp from Pureland. The first two started getting a brightness "flicker" after a couple hundred hours, the third one is now turning itself off after a minute or two of being on , blinking lamp error, with only 21 hours on the lamp. They have had excellent customer service, but horrible lamps. Navigating the website was easy, and delivery was as promised. We have not installed the lamp, so I cannot comment on the quality of the picture. I will assume that we will have a clear, crisp picture. If it is not as promised, I will update the review. Thanks for the good price point!